It's been almost two years (wait, already? Wow!) in the making, but we finally have a sequel to the adorable Applejack Pony Petting Simulator! 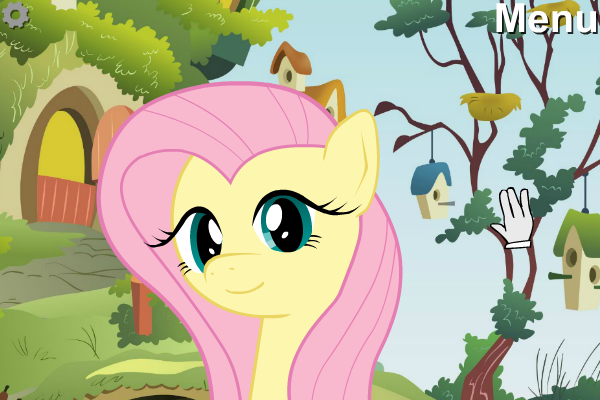 Mechanically-speaking, it's much the same as the last simulator, though it's tuned and tweaked slightly to make it more unique to Fluttershy's personality; for example, as EwoudCP states in the game's description, you have to earn her trust before anything else! Otherwise, you know the drill: pet the horse properly, and everything's wonderful! Continuously poke the horse in the eyes, though? I mean, you can do that, but come on, internet! I know you wouldn't do something like that, would you? But really, all fun aside, it's pretty much everything you'd want in a colorful horse petting simulator. Very well done!